Doubt What Does It Mean Archives - Ignite Christian Church in our lives. We’ve seen that insecurities, comparisons, apathy and today, I want to examine one character flaw that that really gets a bad rap in Christian circles… Doubt. Doubt is a common experience for all of us, but in church circles it is often equated with lack of faith, unbelief and even the pardonable sin. We are people of faith, and so we do not admit to doubting, but instead shovel it under the carpet and pretend we have faith. But while I must make I clear that doubt isn’t really ever good or desirable, genuine doubt is not always a bad thing if it leads to a positive, strong and dynamic faith. Many Bible characters struggled with doubt, and while it is never commended by God, God also was not usually offended by doubt. Job doubted God in his suffering, Abraham the father of faith doubted God, and asked for further assurance. Gideon has his fleeces, John the Baptist needed assurance that Jesus was the Christ, and Paul struggled with unanswered prayer. But the pin up boy for doubt is without doubt, Thomas. John 20:24-29 (ESV Strong's) Now Thomas, one of the Twelve, called the Twin, was not with them when Jesus came. So the other disciples told him, “We have seen the Lord.” But he said to them, “Unless I see in his hands the mark of the nails, and place my finger into the mark of the nails, and place my hand into his side, I will never believe.” Eight days later, his disciples were inside again, and Thomas was with them. Although the doors were locked, Jesus came and stood among them and said, “Peace be with you.” Then he said to Thomas, “Put your finger here, and see my hands; and put out your hand, and place it in my side. Do not disbelieve, but believe.” Thomas answered him, “My Lord and my God!” Jesus said to him, “Have you believed because you have seen me? Blessed are those who have not seen and yet have believed.” Jesus could have been angry with Thomas, but He was compassionate and patient, because he knew Thomas was genuinely grappling with the truth, and his doubt was genuine. Thomas, like the other disciples, had seen Jesus crucified, seen Him buried and so was down and discouraged. He thought is was all over, that the dream was dead, that the future lay in ruins. The others are telling him that Jesus has resurrected, and he wanted to believe, but he is full of doubts. The Greek word believe here is PISTEUO, which is not just mental assent of thinking something is true, but it means committing to or putting your trust in something. It was not a mental exercise but a whole hearted commitment! There are three primary types of religious doubt: factual, emotional, and volitional. It is helpful to diagnose which doubt you are facing, because some doubts are easier to allay than others. Factual doubt involves honest questions about the grounds for one’s belief. It is the doubt that what you believe is built on solid ground. Once the facts are confirmed, your doubt goes away. Christian apologists such as Lee Strobel, Ken Ham, Josh McDowell and others present the case for Christ and Christianity. There is more evidence to support the life, death and resurrection of Jesus Christ than any other person of history before Napoleon. John 20:31 (ESV Strong's) but these are written so that you may believe that Jesus is the Christ, the Son of God, and that by believing you may have life in his name. Factual doubt is easily solved… gets the facts, get rid of the doubt. The most common doubt is Emotional doubt, which stems from passions and moods, and is intensified by other struggles in your life, such as loss, depression, hurt, disappointment, anger or fear. There are many examples… Numbers 20:11-12 (ESV Strong's) And Moses lifted up his hand and struck the rock with his staff twice, and water came out abundantly, and the congregation drank, and their livestock. And the Lord said to Moses and Aaron, “Because you did not believe in me, to uphold me as holy in the eyes of the people of Israel, therefore you shall not bring this assembly into the land that I have given them.” Moses was angry and frustrated, and that fed into his doubt and cost him dearly! Emotional doubts are what we mostly experience, and they are solved when we replace destructive emotions with godly ones. Recognising that your doubts are an expression of past or current hurts or experiences, and they can give you the right perspective to grow real faith. Volitional doubt is the most dangerous because behind this doubt is your will. It mainly relates to issues like your motivation to follow God and forsaking sin. This is often the end stage of doubt, when unsolved doubts lead to anger and resentment towards God, blaming God for your failures and eventually forsaking following Him. It is often fuelled by a desire to pursue sin. I had a friend once in church. He seemed a solid, godly guy. I went away on Uni break, and met him when I came back, and when I asked how church was going, he said he didn’t know, because he was having a holiday from God. I told him you can’t holiday from God. In the space of a few weeks, he had left church, left Jesus, picked up a girl, moved in with her and that was that. He didn’t want to change, he didn’t want to deal with his unbelief, he wanted to sin and hence he fell away. This kind of doubt issues ultimatums to God, and has often already made its mind up! The Pharisees opposing Jesus had this kind of doubt when they accused Jesus… Luke 11:15-16 (ESV Strong's) But some of them said, “He casts out demons by Beelzebul, the prince of demons,” while others, to test him, kept seeking from him a sign from heaven. While Jesus was compassionate and patient with Thomas, He was much harsher with this kind of doubt. This doubt is centred in self, and because it has its mind made up already, it is disastrous. Bad doubt is that which says “I refuse to believe You God unless You jump through these hoops.” The motivation behind it is that I won’t believe, and it is demanding of a sign. This is quite prevalent at the moment in Christianity. Our society is filled with people demanding signs from God. Things like gold flakes falling from the sky, Angel feathers, jewels, coins sticking to walls and so on. We are demanding that the God of the universe, the creator who spoke and worlds sprang into being, satisfy our petty whims like a performing dog. And I’ve never met anyone who has cashed in those gold flakes or jewels for real money! But Jesus said, Matthew 12:39 (ESV Strong's) An evil and adulterous generation seeks for a sign, Mark 8:11-12 (ESV Strong's) The Pharisees came and began to argue with him, seeking from him a sign from heaven to test him. And he sighed deeply in his spirit and said, “Why does this generation seek a sign? Truly, I say to you, no sign will be given to this generation.” Listen, setting your own arbitrary tests for God is not faith, no matter what you tell yourself. Telling God, unless you do this, heal me, give me what I want or show me what I want to see I won’t believe is not faith, it is sin! I too seek signs from the Lord at Ignite. But the signs I seek are people coming to Christ, lives set free, marriages restored, bodies healed. Those are the signs I seek, not cheap party tricks. Bad doubt makes demands and dictates terms! I believe that Jesus is Lord and God is still God, and I dare not tell Him how He can reveal His will and His presence to me! Look, Faith is better than doubt for sure, but good or at least better doubt can lead to world changing faith! Good doubt is genuine, and comes from the position of wanting to believe, not demanding terms. The father of a boy with an unclean spirit came to Jesus for healing, but he struggled with doubt. Mark 9:24 (ESV Strong's) “I believe; help my unbelief!” He asked a question of God, but is was a genuine question, with the motivation being to believe. He wasn’t demanding a sign, he wasn’t dictating terms, he was in desperate need and was striving for belief, reaching out for faith. His doubt was honest, and Jesus loved his honest doubt. Good doubt leads you to build your faith, not destroy it. And my experience is that a genuine questioning of God does not produce a harsh rebuke or fire raining down from heaven, it usually sees God respond with love and compassion, just and Jesus did with Thomas. You see, God loves you, and He is not afraid of your questions or doubts. He is for you, even as you struggle with doubt and feel faithless… 2 Timothy 2:11-13 (ESV Strong's) The saying is trustworthy, for: If we have died with him, we will also live with him; if we endure, we will also reign with him; if we deny him, he also will deny us; if we are faithless, he remains faithful— for he cannot deny himself. God’s is for you not against you, so if your heart is right and your desire is to grow in your faith, He will deal with your genuine doubts and build your faith if you obey Him and allow Him to. Like the father of the demonised boy, like doubting Thomas, like so many heroes of the Bible, God sees your heart and if the doubt is genuine and striving for faith, He responds to honest, open questions. Gideon is a good example of “good doubt” (not that it is really good, because doubt is still lack of faith). He struggled to believe that God had called him to save his people, and so he famously laid out fleeces to try and prove God to himself. But is it wrong to lay out fleeces? Some say yes because it’s a lack of faith, and this is true, but God clearly makes provision for dealing with this genuine doubt. Judges 6:36-38 (ESV Strong's) Then Gideon said to God, “If you will save Israel by my hand, as you have said, behold, I am laying a fleece of wool on the threshing floor. If there is dew on the fleece alone, and it is dry on all the ground, then I shall know that you will save Israel by my hand, as you have said.” And it was so. When he rose early next morning and squeezed the fleece, he wrung enough dew from the fleece to fill a bowl with water. Laying out a fleece is not an act of faith. Faithful, mature believers don’t need God to prove Himself. But hey, a genuine fleece sometimes allows God to gently prove His Word to us. It’s not right, it’s not faith, it’s not the preferred way. It is doubt, but if it comes from a sincere desire to build faith, it can be good doubt. God loved Gideon so much He endures with Him and answered his prayer about the fleeces to build his faith. Gideon’s genuine doubts were overcome, because God loved him enough to prove Himself to him. It should be an encouragement to all of us to know that the Lord has a personal interest in and concern for “Doubting Thomases.” He wanted to strengthen Thomas’ faith and include him in the blessings that lay in store for His followers. Thomas reminds us that unbelief robs us of blessings and opportunities. It may sound sophisticated and intellectual to question God, but if the question comes from a genuine heart, He will lead us into greater faith. Some of you here today are struggling with doubts… Doubts about your family, your job, about where to go to church, about whether God will bless you. I want you to know today that God is not put off by your questions, and would rather your genuine questions than fake faith! But even so, we must never forget that doubting, even genuine, honest doubting, still has consequences. James 1:6-8 (ESV Strong's) But let him ask in faith, with no doubting, for the one who doubts is like a wave of the sea that is driven and tossed by the wind. For that person must not suppose that he will receive anything from the Lord; he is a double-minded man, unstable in all his ways. Doubt is the opposite of the rock of faith, and doubt can stop a flow of blessings into your life. If you find yourself doubting right now, you are missing out on the best God has for you. So as you walk through a time of doubt, whatever you do, don’t camp there, use your genuine doubt to build more genuine faith! Doubt often comes when we decide to step out in faith. This could be the enemy trying to put us off, but it could also be the Lord testing us, trying our faith to build it. He does this not to discourage us, not to hurt us or ruin our life, but to make us strong. This is spiritual resistance training! If you want to build muscles in the gym, it’s not so much about the repetitions, it’s about the weights you use. The harder it is, the more difficult, the greater the resistance, the stronger you become, and that’s how you build spiritual muscles too. Matthew 14:28-31 (ESV Strong's) And Peter answered him, “Lord, if it is you, command me to come to you on the water.” He said, “Come.” So Peter got out of the boat and walked on the water and came to Jesus. But when he saw the wind, he was afraid, and beginning to sink he cried out, “Lord, save me.” Jesus immediately reached out his hand and took hold of him, saying to him, “O you of little faith, why did you doubt?” Now, you can criticise Peter’s doubting all you like, but only one of the disciples got out of the boat. This is a great illustration of what our lives are like… We step out in faith, then take our eyes off Jesus and look at the wind and waves, overwhelmed by circumstances. Jesus loves us, rescues us, but also points out our doubt. If you are stepping out in faith, maybe trying this church is a step of faith, then even if you doubt, even if you’re not sure of His will, the Lord has His hand outstretched to you right now. Believe and trust Him. Feed you faith and your doubts starve to death! If you are experiencing doubt because your heart is hard and you are threatening or dictating to God how He should act, you are in a dangerous place, and need to repent. Do not play with this kind of doubt, get on your knees right now and get right with God! If your desire is to obey and grow closer to God, but you have genuine doubts, then this could be your platform to build a real and life changing faith. God is kind and patient, and we should be too with each other, and with ourselves. As Jude prays, Jude 1:22 (ESV Strong's) And have mercy on those who doubt; If you struggle with doubt, don’t be ashamed, don’t be afraid, don’t be too tough on yourself, but recognise that doubts are a part of life and if they are honest, genuine doubts, God can gently lead you to grow in your faith. Yes, there still must be repentance, because doubt is still sin, and yes there still must be right decisions made, but God is for you and loves you and will lead you to greater faith if you decide to be obedient. If you have genuine doubt, God loves you and is for you, but don’t dress this up as God approving of your doubts! Doubt, even good and genuine doubt, is still sin because it is not faith. You can’t talk yourself into faith, you can’t positively confess yourself into faith, you can’t even argue yourself into faith, because God is the true source of true faith, not you, it’s the Lord… 1 Corinthians 2:5 (ESV Strong's) so that your faith might not rest in the wisdom of men but in the power of God. So be honest with God about your doubt, then simply repent of your doubt and ask for faith. This is a simple formula, so today, make a decision to choose life, not death… repent and ask for faith. Top athletes will tell you that pain is gain. Now we know that a lot of pain is not great, and that it’s not something we want to pursue. But you cannot become great by avoiding pain. In the Christian life, God often uses pain to train us and make us greater for Him, so James writes this… James 1:2-6 (ESV Strong's) Count it all joy, my brothers, when you meet trials of various kinds, for you know that the testing of your faith produces steadfastness. And let steadfastness have its full effect, that you may be perfect and complete, lacking in nothing. If any of you lacks wisdom, let him ask God, who gives generously to all without reproach, and it will be given him. But let him ask in faith, with no doubting, for the one who doubts is like a wave of the sea that is driven and tossed by the wind. Pain usually causes you to doubt God, so recognise it, rejoice in the pain and take your eyes off the giant before you and place them squarely on Jesus. Take your eyes off your pain and put them on Jesus! Most people going through doubt withdraw from others, and that’s exactly what the devil wants you to do. I meet people all the time who’ve been hurt and hence withdraw from church. I know people get hurt by church and especially church leadership, but with all our faults and hangups, we are still better together. As Paul says… 1 Thessalonians 5:11 (ESV Strong's) Therefore encourage one another and build one another up, just as you are doing. Now obviously the opposite of doubt is faith, but the end of our doubting should be the building of our faith. Faith is part of the armour of God, the shield of faith… Ephesians 6:16 (ESV Strong's) In all circumstances take up the shield of faith, with which you can extinguish all the flaming darts of the evil one; Those flaming darts are the enemy attacking you causing doubt and unbelief. But here’s the thing we miss in our modern culture. The shield Paul is talking about was not designed to be used individually. If you go it alone the devil will pick you off, attack from behind and bring you down in your doubt. A Roman shield was specifically designed for a warfare manoeuvre called the tortoise. Soldiers would link their shields together, interlocking them on the front, the sides and the back. When used together they became a mighty barrier to enemy attack. That’s faith, that’s church and that’s how we conquer doubt and unbelief… we join our faith together because we’re better together. You can turn doubt into incredible strength by being honest with God and letting Him shape your doubt into faith. Everyone at some stage through a valley of doubt, an you may be there now, but it’s not ok to stay there. Genuine, honest doubt might lead you to question God, but it should be with a view to building faith… And when you let your faith roar loudly, you cannot hear what doubt is saying! I know many of you have doubts about many things, but today is the day we collectively say, “Enough!” We say, “Devil, I will not fade away in doubt and unbelief, because today is the day I decide, I covenant with God and with those around me to turn my doubt into faith! If you have doubts right now, I want to pray for you and let’s allow God to build faith in you. If you doubt God and have wandered from Him, or maybe even don’t know Him, I want to start there. We were looking at areas of weakness that God can turn into strengths in our lives. We’ve seen that insecurities, comparisons, apathy and today, I want to examine one character flaw that that really gets a bad rap in Christian circles… Doubt. Doubt is a common experience for all of us, but in church circles it is often equated with lack of faith, unbelief and even the pardonable sin. We are people of faith, and so we do not admit to doubting, but instead shovel it under the carpet and pretend we have faith. But while I must make I clear that doubt isn’t really ever good or desirable, genuine doubt is not always a bad thing if it leads to a positive, strong and dynamic faith. Many Bible characters struggled with doubt, and while it is never commended by God, God also was not usually offended by doubt. Job doubted God in his suffering, Abraham the father of faith doubted God, and asked for further assurance. Gideon has his fleeces, John the Baptist needed assurance that Jesus was the Christ, and Paul struggled with unanswered prayer. But the pin up boy for doubt is without doubt, Thomas. Jesus could have been angry with Thomas, but He was compassionate and patient, because he knew Thomas was genuinely grappling with the truth, and his doubt was genuine. Thomas, like the other disciples, had seen Jesus crucified, seen Him buried and so was down and discouraged. He thought is was all over, that the dream was dead, that the future lay in ruins. The others are telling him that Jesus has resurrected, and he wanted to believe, but he is full of doubts. The Greek word believe here is PISTEUO, which is not just mental assent of thinking something is true, but it means committing to or putting your trust in something. It was not a mental exercise but a whole hearted commitment! While similar, they are actually different in the spirit that is behind them. Doubt is often an intellectual problem: We want to believe, but our faith is overwhelmed by problems and questions. Unbelief is a moral problem; we simply will not believe. We dictate a challenge to God to prove Himself and meet the criteria we set for Him. Factual doubt involves honest questions about the grounds for one’s belief. It is the doubt that what you believe is built on solid ground. Once the facts are confirmed, your doubt goes away. Christian apologists such as Lee Strobel, Ken Ham, Josh McDowell and others present the case for Christ and Christianity. There is more evidence to support the life, death and resurrection of Jesus Christ than any other person of history before Napoleon. Factual doubt is easily solved… gets the facts, get rid of the doubt. Moses was angry and frustrated, and that fed into his doubt and cost him dearly! Emotional doubts are what we mostly experience, and they are solved when we replace destructive emotions with godly ones. Recognising that your doubts are an expression of past or current hurts or experiences, and they can give you the right perspective to grow real faith. Volitional doubt is the most dangerous because behind this doubt is your will. It mainly relates to issues like your motivation to follow God and forsaking sin. This is often the end stage of doubt, when unsolved doubts lead to anger and resentment towards God, blaming God for your failures and eventually forsaking following Him. It is often fuelled by a desire to pursue sin. I had a friend once in church. He seemed a solid, godly guy. I went away on Uni break, and met him when I came back, and when I asked how church was going, he said he didn’t know, because he was having a holiday from God. I told him you can’t holiday from God. In the space of a few weeks, he had left church, left Jesus, picked up a girl, moved in with her and that was that. He didn’t want to change, he didn’t want to deal with his unbelief, he wanted to sin and hence he fell away. But some of them said, “He casts out demons by Beelzebul, the prince of demons,” while others, to test him, kept seeking from him a sign from heaven. While Jesus was compassionate and patient with Thomas, He was much harsher with this kind of doubt. This doubt is centred in self, and because it has its mind made up already, it is disastrous. Bad doubt is that which says “I refuse to believe You God unless You jump through these hoops.” The motivation behind it is that I won’t believe, and it is demanding of a sign. Listen, setting your own arbitrary tests for God is not faith, no matter what you tell yourself. Telling God, unless you do this, heal me, give me what I want or show me what I want to see I won’t believe is not faith, it is sin! 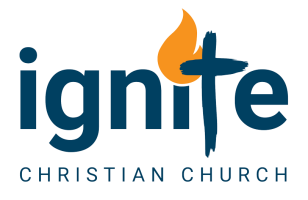 I too seek signs from the Lord at Ignite. But the signs I seek are people coming to Christ, lives set free, marriages restored, bodies healed. Those are the signs I seek, not cheap party tricks. Bad doubt makes demands and dictates terms! I believe that Jesus is Lord and God is still God, and I dare not tell Him how He can reveal His will and His presence to me! Look, Faith is better than doubt for sure, but good or at least better doubt can lead to world changing faith! Good doubt is genuine, and comes from the position of wanting to believe, not demanding terms. The father of a boy with an unclean spirit came to Jesus for healing, but he struggled with doubt. He asked a question of God, but is was a genuine question, with the motivation being to believe. He wasn’t demanding a sign, he wasn’t dictating terms, he was in desperate need and was striving for belief, reaching out for faith. His doubt was honest, and Jesus loved his honest doubt. Good doubt leads you to build your faith, not destroy it. The saying is trustworthy, for: If we have died with him, we will also live with him; if we endure, we will also reign with him; if we deny him, he also will deny us; if we are faithless, he remains faithful— for he cannot deny himself. God’s is for you not against you, so if your heart is right and your desire is to grow in your faith, He will deal with your genuine doubts and build your faith if you obey Him and allow Him to. Like the father of the demonised boy, like doubting Thomas, like so many heroes of the Bible, God sees your heart and if the doubt is genuine and striving for faith, He responds to honest, open questions. Gideon is a good example of “good doubt” (not that it is really good, because doubt is still lack of faith). He struggled to believe that God had called him to save his people, and so he famously laid out fleeces to try and prove God to himself. But is it wrong to lay out fleeces? Some say yes because it’s a lack of faith, and this is true, but God clearly makes provision for dealing with this genuine doubt. Then Gideon said to God, “If you will save Israel by my hand, as you have said, behold, I am laying a fleece of wool on the threshing floor. If there is dew on the fleece alone, and it is dry on all the ground, then I shall know that you will save Israel by my hand, as you have said.” And it was so. When he rose early next morning and squeezed the fleece, he wrung enough dew from the fleece to fill a bowl with water. Laying out a fleece is not an act of faith. Faithful, mature believers don’t need God to prove Himself. But hey, a genuine fleece sometimes allows God to gently prove His Word to us. It’s not right, it’s not faith, it’s not the preferred way. It is doubt, but if it comes from a sincere desire to build faith, it can be good doubt. God loved Gideon so much He endures with Him and answered his prayer about the fleeces to build his faith. Gideon’s genuine doubts were overcome, because God loved him enough to prove Himself to him. It should be an encouragement to all of us to know that the Lord has a personal interest in and concern for “Doubting Thomases.” He wanted to strengthen Thomas’ faith and include him in the blessings that lay in store for His followers. Thomas reminds us that unbelief robs us of blessings and opportunities. It may sound sophisticated and intellectual to question God, but if the question comes from a genuine heart, He will lead us into greater faith. Some of you here today are struggling with doubts… Doubts about your family, your job, about where to go to church, about whether God will bless you. I want you to know today that God is not put off by your questions, and would rather your genuine questions than fake faith! But even so, we must never forget that doubting, even genuine, honest doubting, still has consequences. But let him ask in faith, with no doubting, for the one who doubts is like a wave of the sea that is driven and tossed by the wind. For that person must not suppose that he will receive anything from the Lord; he is a double-minded man, unstable in all his ways. Doubt is the opposite of the rock of faith, and doubt can stop a flow of blessings into your life. If you find yourself doubting right now, you are missing out on the best God has for you. So as you walk through a time of doubt, whatever you do, don’t camp there, use your genuine doubt to build more genuine faith! Doubt often comes when we decide to step out in faith. This could be the enemy trying to put us off, but it could also be the Lord testing us, trying our faith to build it. He does this not to discourage us, not to hurt us or ruin our life, but to make us strong. This is spiritual resistance training! If you want to build muscles in the gym, it’s not so much about the repetitions, it’s about the weights you use. The harder it is, the more difficult, the greater the resistance, the stronger you become, and that’s how you build spiritual muscles too. Now, you can criticise Peter’s doubting all you like, but only one of the disciples got out of the boat. This is a great illustration of what our lives are like… We step out in faith, then take our eyes off Jesus and look at the wind and waves, overwhelmed by circumstances. Jesus loves us, rescues us, but also points out our doubt. If you are stepping out in faith, maybe trying this church is a step of faith, then even if you doubt, even if you’re not sure of His will, the Lord has His hand outstretched to you right now. Believe and trust Him. Feed you faith and your doubts starve to death! If you are experiencing doubt because your heart is hard and you are threatening or dictating to God how He should act, you are in a dangerous place, and need to repent. Do not play with this kind of doubt, get on your knees right now and get right with God! If you struggle with doubt, don’t be ashamed, don’t be afraid, don’t be too tough on yourself, but recognise that doubts are a part of life and if they are honest, genuine doubts, God can gently lead you to grow in your faith. Yes, there still must be repentance, because doubt is still sin, and yes there still must be right decisions made, but God is for you and loves you and will lead you to greater faith if you decide to be obedient. Many Christians are ashamed of their doubts, and the enemy uses this to keep them under duress. We can hide our doubts from many at church, but let me tell you that you cannot hide the state of your heart from God! O Lord, you have searched me and known me! You know when I sit down and when I rise up; you discern my thoughts from afar. You search out my path and my lying down and are acquainted with all my ways. Even before a word is on my tongue, behold, O Lord, you know it altogether. so that your faith might not rest in the wisdom of men but in the power of God. So be honest with God about your doubt, then simply repent of your doubt and ask for faith. This is a simple formula, so today, make a decision to choose life, not death… repent and ask for faith. Pain usually causes you to doubt God, so recognise it, rejoice in the pain and take your eyes off the giant before you and place them squarely on Jesus. Take your eyes off your pain and put them on Jesus! Those flaming darts are the enemy attacking you causing doubt and unbelief. But here’s the thing we miss in our modern culture. The shield Paul is talking about was not designed to be used individually. If you go it alone the devil will pick you off, attack from behind and bring you down in your doubt. A Roman shield was specifically designed for a warfare manoeuvre called the tortoise. Soldiers would link their shields together, interlocking them on the front, the sides and the back. When used together they became a mighty barrier to enemy attack. That’s faith, that’s church and that’s how we conquer doubt and unbelief… we join our faith together because we’re better together. You can turn doubt into incredible strength by being honest with God and letting Him shape your doubt into faith. Everyone at some stage through a valley of doubt, an you may be there now, but it’s not ok to stay there. Genuine, honest doubt might lead you to question God, but it should be with a view to building faith… And when you let your faith roar loudly, you cannot hear what doubt is saying! I know many of you have doubts about many things, but today is the day we collectively say, “Enough!” We say, “Devil, I will not fade away in doubt and unbelief, because today is the day I decide, I covenant with God and with those around me to turn my doubt into faith! If you have doubts right now, I want to pray for you and let’s allow God to build faith in you. If you doubt God and have wandered from Him, or maybe even don’t know Him, I want to start there.